BOClean Anti-Malware Protection Software, now a part of Comodo Internet Security, runs silently in the background, monitoring your PC and waiting to root out and destroy malware whenever it enters. The list of threats to PC security is long, varied, and pretty scary. 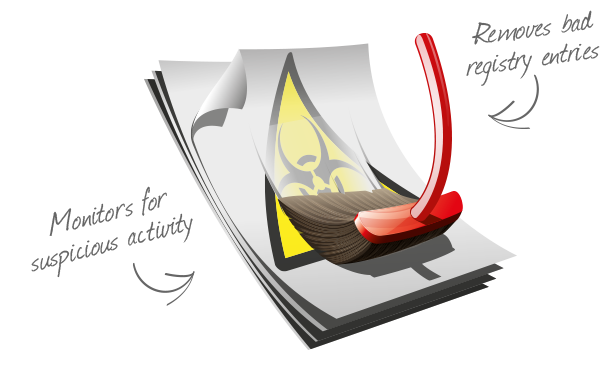 Our BOClean Anti Malware software automatically detects and destroys the many different types of malware. Even if you’re the most careful PC user out there, malware can find a way to download itself onto the computer. A seemingly innocent email from a friend could in fact be a stealth method of exploiting security features. What appears to be a favorite website could in fact be an imposter, foisting its own malware on unsuspecting visitors. There are literally hundreds of ways in which personal information and entire operating system can be hijacked. Here’s the good news: BOClean’s available, and it’s free. BOClean runs in the background without being bothersome, monitoring the memory for any malware-related activity. When it discovers malware, it deletes malware. Simple as that. And because of its unique memory-detection system, BOClean manages to catch malicious software earlier than most antivirus programs. It’s anti malware software you can set and forget. Once installed, BOClean constantly watches memory, file system, and registry, waiting for any malware that attempts to load. Once it detects the presence of a malicious program, it springs into action. Malware: gone. Plus, BOClean expertly removes any and all “hooks” the malware may have injected into the system, and restores its original condition.